HMS Simoom - Sails of no sails. Helm, compass binnacle, chart-house and other deck details. 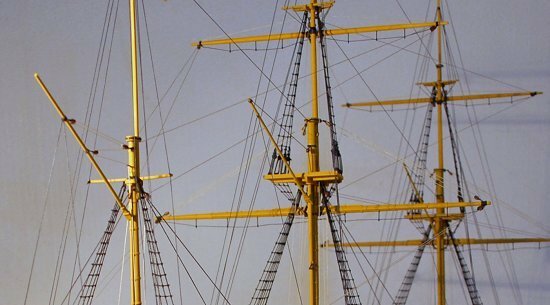 The image below shows her three masts, any model can be delivered with or without sails. Sails can be sewn, 'pulled" or even printed in some cases, or be a combination of several techniques. 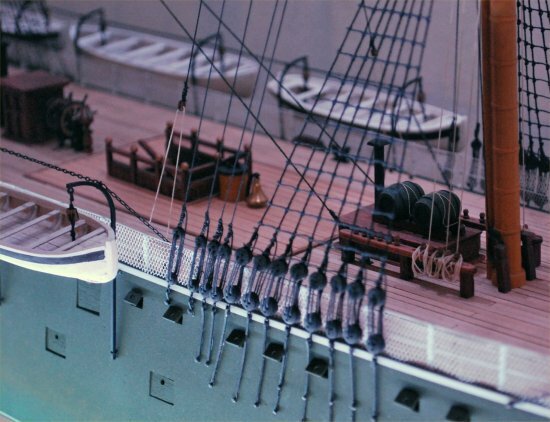 Notice the mizzen having only a 'half moon', not the traditional top of ships before her.